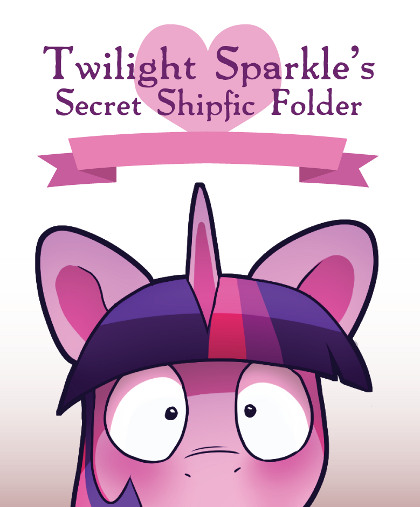 Developed by Horrible People Productions, Twilight Sparkle's Secret Shipfic Folder is a tongue-in-cheek card game about creating ludicrous pairings between different ponies, with options such as "Apocalyptic Future Spike x R63 Prince Blueblood" and "Anime Magical Girl Derpy x Literally Every Wonderbolt Except They're Unicorns Now" to satisfy your every fantasy. It's not all fun and games, though; Twilight has goals in mind, and the aim of the game is to fulfill as many of these as possible to earn points and reach the target score first. Effects such as changing races of characters in play and swapping ponies around the shipping grid add to the strategy. By the end of the game, the playing field is often a convoluted mess of ponies being shipped with ponies, and connecting the dots to figure out what would encourage these pairings to get to know one another is half the fun. The 1.0 release of the core card set was recently released on the game's Tumblr page as a free-to-download PDF, and the team also has an Indiegogo fundraiser going to help finance trips to various conventions. They've already met their base goal, but the fundraiser has enough incentives (including the possibility for your very own custom expansion, as well as professionaly-printed decks) to make donating worthwhile anyway. And for those of you who don't have the resources to print your own deck (or the meatspace friends to play it with), there's a Vassal module available for playing the game online. I haven't had the opportunity to play more than a couple games over the internet yet, but I definitely feel that the game will be a big hit at the local meetups. It's definitely a good way to pass the time with friends, and the time commitment for a game is short enough for players to jump in and out at any time. The various fandom references contained within the cards also make for a good laugh between players.